Kayaking and canoeing the tranquil South Devon rivers. Contact Ruth at The Owlery, romantic cottage for two on 01548 521272 or complete the enquiry form. 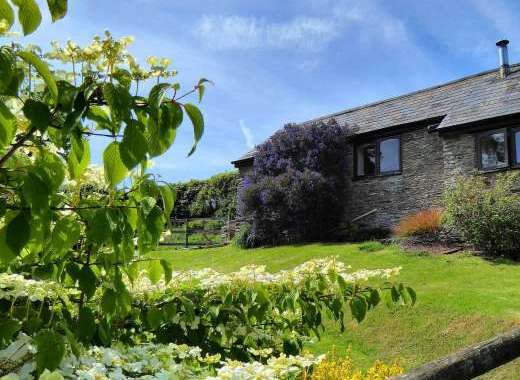 The Owlery, a romantic getaway cottage in its own peaceful valley in South Devon. Available for Christmas, short breaks, Valentine's day, summer holidays and romantic getaways. Spa bath for 2. Cottage surrounded by garden with views of higher valley at Dittiscombe. 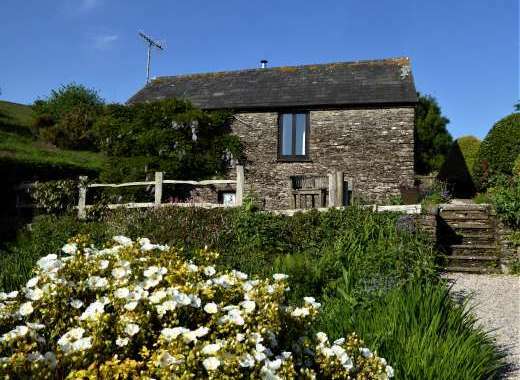 The cottage is perfectly located for a walking break - stride out and walk straight from your cottage to the beach, a 50 minute walk - or perhaps a more dramatic section of the South West Coast Path appeals? Nearby is Slapton ley National nature Reserve, a haven for birds. Between November and ApriL we offer short breaks and suggest an itinerary which might include dinner at The Tower Inn in Slapton, with a chance to read up on local history in front of the log fire. Explore Torcross, a pretty village on the beach just 3 miles from Dittiscombe, with 1 and 2 hour trails by the side of Slapton Ley and along the South West Coast Path, enjoying both sea and Ley-scapes on either side, with a stop at the Memorial Tank to learn more about Operation Tiger, the D-Day landing practises which took place within Start Bay during World War II. A drive to Start Point Lighthouse, with a spectacular coastal walk round to Great Mattiscombe Sands looking out for seals and seabirds along the way; or from Hallsands to Beesands where you will find an excellent fresh fish menu or a tasty Sunday lunch at the Cricket Inn. 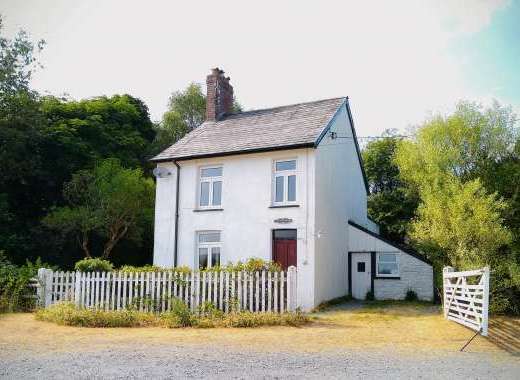 This 4-star rated, detached cottage comes with space for private parking. This is a truly romantic property, ideal for 2. With a wooden-floored open-plan living space with kitchen and dining area, this cottage provides the warmest of welcomes to guests. The cottage is very romantic with a wood burner, circular glass dining table, comfortable sofa and coffee tables. The kitchen comes fitted with an electric oven and hob, and microwave. The house also boasts WiFi, a digital TV, DVD player and an Ipod player with FM radio. The bedroom has a luxurious king-size bed and is set on a galleried mezzanine that overlooks the sitting room. Like the rest of the property, this room is light and airy and is decorated and fitted to a high standard. The luxury bathroom is just a few steps down from the living area and has a wonderful oval air bath which has room for two, guests can have a gentle and relaxing aquamassage in the bath. There is also a separate shower cubicle. The pretty garden overlooks the small pond, which creates a wonderful romantic country atmosphere for days or evenings relaxing with your partner. There is a separate patio area, complete with furniture and raised shrub borders and climbing plants. This creates your own private space which means you can spend some quality time together with no distractions. A further private lawn area looks up the valley and into the orchard, an ideal spot for birdwatching. 1/3 deposit on booking, balance payable 6 weeks before start of holiday. £100 security deposit cheque payable with balance, held until after stay. Communal laundry room with tumble dryer and free washing machine. 20 acre estate and conservation valley available exlusively to Dittiscombe guests. Garden: Surrounded by meadows, orchards and a pond, the garden sits on three sides of the cottage with paving and wooden furniture, a sunny gravel garden and lawned area. Views of the surrounding conservation valley, the orchard and the pond. Access to the nature trail, woodlands and meadows from the cottage door. A beautiful town on the banks of the River Dart with a nautical charm and fascinating history which is reflected in the ancienc narrow streets which house boutique shops, art galleries & delicatessens. A cobbled market place features colourful stalls and Farmers markets supplying local produce used by the local gourmet restaurants, pubs & cafes. If you love the water, Dartmouth is the place for you with sailing, fishing, kayaking, or just sitting and watching the many boats from the banks of the harbour. Take the steam train ride to Paignton for a treat or enjoy visits to Dartmouth Castle, National Trust properties at Greenway and Coleton Fishacre. Walk the South West Coast Path or laze on our clean beaches. On the hills above the harbour sits Britannia Royal Naval College which has been training officers for the Royal Navies of the world since the beginning of the 20th century. Throughout the year Dartmouth is host to many Festivals including the Comedy, the Food and the Dart Music, the Galleries Week, the Shakespeare Week and Agatha Christie Week and of course the Dartmouth Royal Regatta. We have stayed at The Owlery for many years and it is a wonderful, peaceful escape from normal life. There is so much to do in the local area and it is beautiful in all seasons. Jon and Ruth are completely respectful of your privacy, but you always know there is someone there to help if the need arises. The cottage is warm, cosy and practical with a fantastic spa bath! If I could, I don't think I'd ever leave. £325 3 nights in cosy cottage for 2 with woodburner and spa bath.